If your audiologist has recommended that you look into getting in-the-canal (ITC) hearing aids, you need to know what these are. Not only this, you need to be aware of all the benefits that this type of hearing aid can provide you. So, in this article that is exactly what we are going to do and you are going to finish reading, knowing all the benefits of an ITC hearing aid. What are ITC hearing aids? These are custom made hearing aids that are made from taking an impression of your ear as well as the surrounding area. These are still considered one of the most cosmetically appealing hearing aids, even though they are slightly larger than completely-in-canal (CIC) hearing aids. You might have seen a picture of one of these and noticed that all the components of this hearing aid are placed in a lightweight shell. This type of hearing aid works better for mild-to-moderate hearing loss and will not prove as effective for severe cases. There are other hearing aids that are better for severe hearing loss, and that is why this one has been created to suit a different range. Their size is another bonus that you should be considering. They are a medium size meaning that they are not so large that they become cosmetically unappealing, but at the same time, they are large enough so that you can change the controls if this is necessary. They have push-button controls to operate them, so this makes it easier for people who are not that in touch with technology. 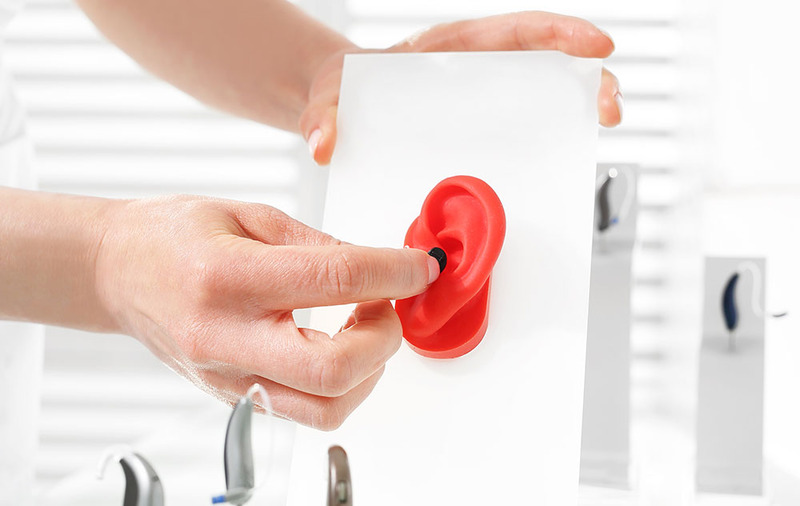 Because an impression of your ear is taken, it is easy to provide a secure fit for this type of hearing aid. A secure fit means that you are less likely to lose your hearing aid, have it fall out at any point, but it also means that you are going to get great quality of sound. You might find that if hearing aids are not fitted properly, the sound quality is not fantastic. This is not something that you are going to experience with ITC hearing aids. Additionally, you will also find that the mold provides easy insertion and removal of these hearing aids. This is going to be crucial because hearing aids are supposed to make life easier, and if you are having trouble inserting or removing your hearing aids, this is not going to be the case for you.